Dividing his time between New York City and Seoul, Kim grew up in Seoul, South Korea, and continues to travel extensively with his work reaching audiences at international art fairs, museums and galleries around the world. As an extension from his earlier work which revolved around the notion of home as, in his words, “a verb rather than a noun,” Kim used cartoon-like snails to express his ideas about home and belonging. Closely associated with American popular culture, Kim's donuts have been elevated beyond the banal to an iconic symbol that speaks to our globalized world of production and consumption. Rather than offering us an overt critique of this reality, Kim’s work conveys an almost child-like joy and pleasure. His "glazed" donuts look good enough to eat, and viewers can’t help but smile at their bright colors and sometimes humorous shapes. 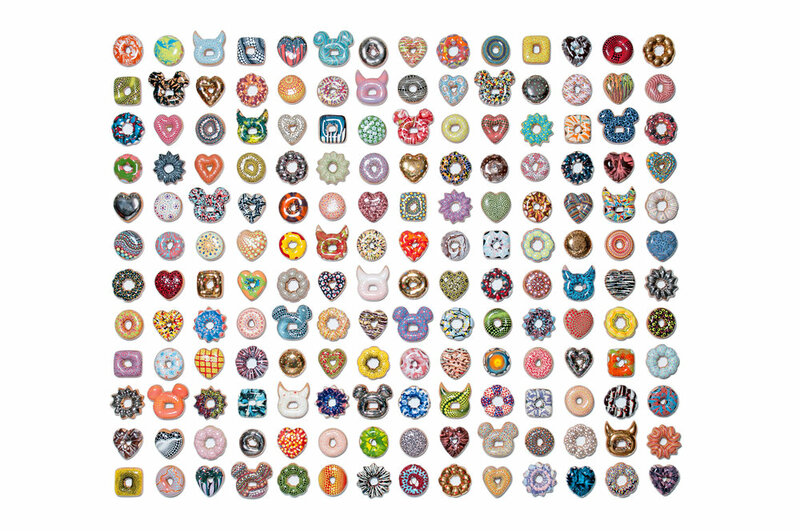 Kim’s artistic process is also guided by the principle of pleasure: he works with each individual donut until he is happy with it, a process which takes three or four firings in the kiln over the course of many days. 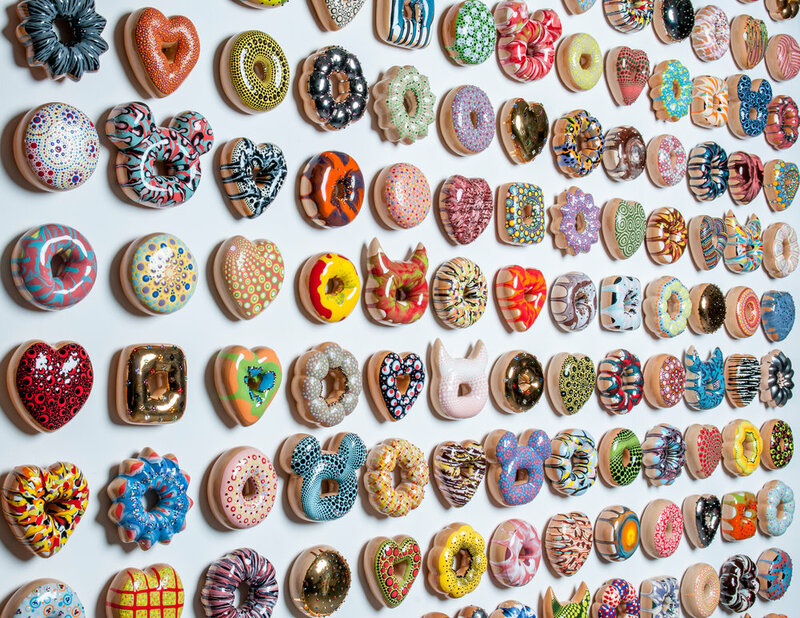 Each donut is individually hand crafted, painted, glazed and adorned one by one.